Butler & Co can be found on the banks of Penpol creek, off Restronguet creek, on the Fal estuary in southern Cornwall. We are based in a beautiful part of the world, with the creek at the front of our workshops and easy access to some of the best sailing in England. What more could we want? On site we have a large 80' x 40' lower shed for storage and projects, joined to a 60' x 25' workshop further up the valley. Directly out front is our wooden dock, slipway and crane bay, serviced by our mobile, on-site Kato crane capable of lifting up to 12 tonnes. We have pontoon berths available within Penpol creek and full-tide and half-tide moorings further down in Restronguet creek. 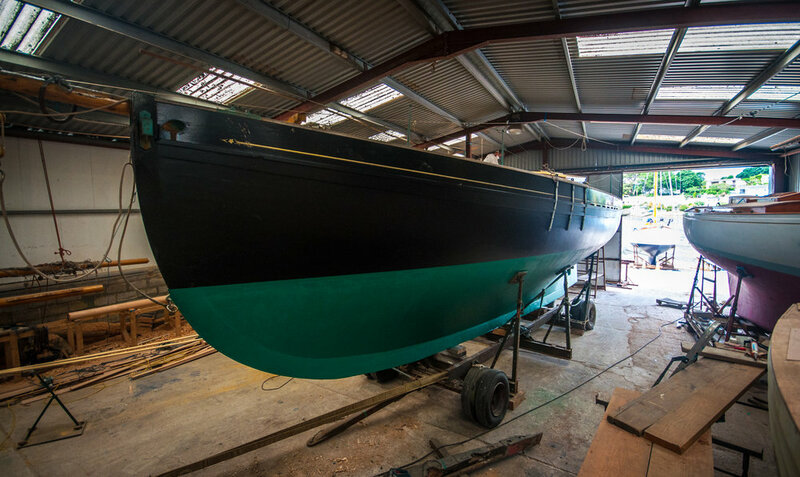 We offer storage afloat, ashore and undercover and our team of shipwrights and engineers have a wealth of experience to handle any eventuality. It is always pleasant to see sails on the horizon and we welcome visitors to sail on to our pontoons.